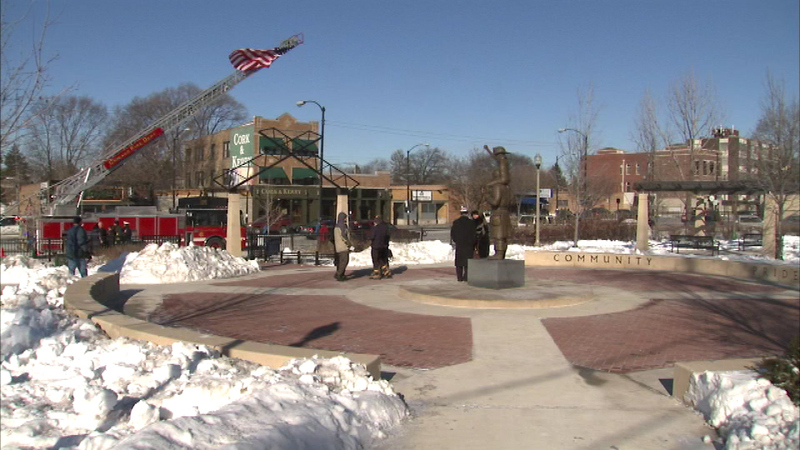 CHICAGO (WLS) -- King Lockhart Park was renamed Wednesday after Patrick King and Anthony Lockhart, firefighters who were killed in a fire on that site in 1998. The park is located near 106th and Western in the Beverly neighborhood. It features a statue of a firefighter and a child. Two archways mark where the firefighters died while battling a fire at a tire store. King's widow calls the park a wonderful place to sit and reflect.